The Dow Chemical Company’s (“Dow”) Billy Bardin, Global Operations technology director, was named to Smart Industry magazine’s 2018 list of digital innovators who are defining the future of process technology. 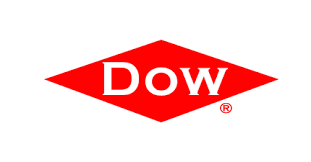 Bardin’s responsibilities include driving Dow’s technology and innovation strategy within its manufacturing operation and oversight of all commercial technologies, as well as development of technical talent across manufacturing and operations. In Dow’s manufacturing operations, the use of sensors, robots, drones, and other technology are enabling its teams to more safely and efficiently operate its plants. “The fun part of my job is setting us up for successful value delivery in the near-term, while establishing a path for the next 20-30 years that optimizes our manufacturing assets, data, and connectivity,” Bardin said in the magazine’s acknowledgement of his leadership. Smart Industry’s Class of 2018 also included leaders from UPS, Boeing, Nestle, Accenture, Rolls Royce, and other companies who have distinguished themselves for making a difference in their organizations’ pursuit of digital transformation. The magazine also highlighted Bardin’s role in the strategic drive toward “Digital Dow, with a digital thread across the company’s entire value chain.” Initiatives that are already having an impact at Dow include smarter, low-cost sensors, and the use of robotics to make confined-space activities safer. To view the online version of the magazine, go to this link.